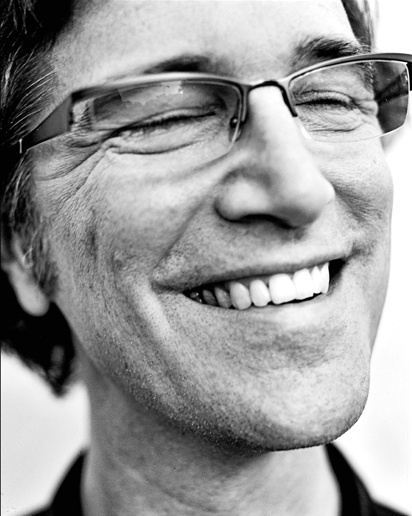 Dan Wilson: Adele and I met for the first time at our session at Harmony Studio in Hollywood, about a year and a half ago. Rick Rubin, among other people, had called us both and suggested we work together. Rick’s opinion carries a lot of weight in my world. Harmony is a small, high-ceiling studio with a very nice Yamaha grand piano. I like that piano a lot and I go there as often as I can. Adele and I worked on “Someone Like You” there over two days. At the end of the second day we finished the recording, which ended up on the album. She couldn’t stay late, as I remember, because she had a meeting in Malibu to play Rick and other people from her label the song. So we finished it in the late afternoon and she took it to them. 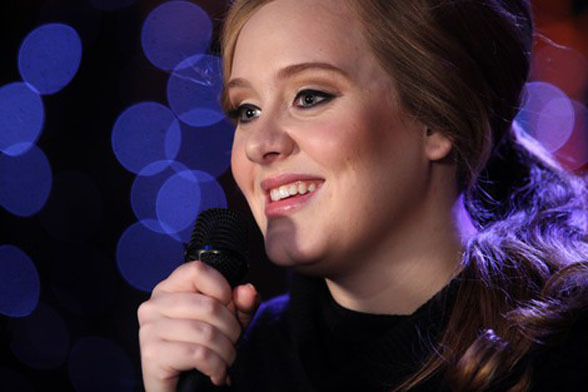 Adele came to the session with lyrics and melody for the first half of the verse at least – there was a real vibe and idea already. She told me she wanted to write a song about her heartbreak…that was how she put it. She told me a little bit about the guy who broke up with her, and I think maybe part of my contribution was to help keep the song really simple and direct—very personal. How long did it take to write, and what was the co-writing process like? Were there any lines or words you can remember that were especially tough to make a decision on…that you went back and forth on? Alternate lines? Not counting whatever time Adele had spent sitting on the edge of her bed writing that first verse, we took two days. After we listened to a bunch of Wanda Jackson songs on YouTube, we went to the main room of the studio where the piano is. There Adele showed me the idea for the verse. She was playing it on the guitar, and she taught me the part, but when I switched to piano, she lit up. “That’s way more inspiring!” she said. So I played piano for the rest of the session. We didn’t have any arguments or tussles. There may have been some points where I said, “I think that line can be better,” and I always throw in lines of lyrics in my sessions, but at this one, Adele knew exactly what she wanted to say, and my role was much more in composing the music and creating chord changes for the various sections. For the pre-chorus, for example, I suggested a series of chords and we played with some melody ideas for it. Once we decided on the melody, she very quickly came up with that amazing line, “I hate to turn up out of the blue, uninvited.” Once you have a line that great, the rest of the section is easy to finish. My main memory is feeling like everything was flowing very easily and honestly. Once we started recording, I was very much concentrated on making sure we got a killer vocal performance, because I was starting to think this was a special recording, and also she is such a pleasure to record! She sounds so great coming back out of the speakers, and I was dead set on making the song sound great but very natural, very vulnerable, very devastated. On the second day, her voice had a rougher, more ragged edge, and I suggested we go back and re-record the last chorus so it would sound more emotional. And it did, it was heartbreaking. What do you most enjoy about writing with Adele? Well, she’s a genius; that makes it pretty enjoyable. Plus, she’s very funny and spontaneous and tells good stories. We just had a great, relaxing time all three times we wrote together. “Someone Like You” is a love song from the point of view of a woman who shows up unexpectedly at her married ex’s front door, only to be confronted by the fact that he’s moved on and has a life and a wife. Whereas she’s never been able to let go. The chorus is ironic: she says she’s going to find someone else, but the strange and obsessive part is that she wants to find someone like him. Hopefully not to re-live the entire sad and sordid tale, but one somehow suspects that it will be so. Any interesting story or tidbit about process of the song winding up on the album? Which was kind of exciting. When we finished the demo, I played it for my wife and then kinda forgot about it. For the next many months, I would hear sporadic reports from people who heard it, and everybody would tell me that it made them cry. It’s kind of funny, it seems like a very common response to the recording. At first, I thought people were crying because they know Adele and they felt the pain of her breakup and were being empathetic. But then after awhile, I kept hearing the same report from people who heard the song but don’t know Adele personally. They were crying too. Walk us through a typical day in the life of Dan Wilson. Which is a nice way to spend a day. When I’m not working on the record, I’ve been writing songs with artists for their recordings, which is very interesting and enjoyable and has a lot less of that kill-or-be-killed feeling that my album has been giving me lately. If I’m writing with someone, I usually try to get all my phone calls, errands, overdub projects etc, finished in the morning, then meet my co-writer at noon. On the first day, we’ll shoot the breeze, show each other lots of favorite clips on YouTube, and generally talk about what kind of songs we might write. At some point I might go to the piano and improvise some music, or my collaborator might show me a bare-bones beginning of a song, and then we’ll take the rest of the day and maybe the next to work it up into something finished and hopefully great. Write a lot of songs. Lots and lots of songs. A lot of problems with a song in progress can be solved by starting a new and different song. Share your ideas with people, don’t be shy and don’t think that there’s any upside in hoarding them. It’s really rare to have a song idea stolen. The risk is totally worth the upside in showing people your songs. Open-mic night, Soundcloud, find any and all ways to get your songs in front of an audience, you’ll be amazed how much an audience can teach you.